Scuba Diving and Liveaboards Phuket, Thailand » Blog Archive » Why visit Phuket in the green season? 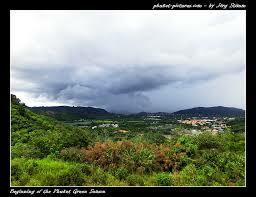 Why visit Phuket in the green season? In Phuket, the weather doesn’t have the same four seasons as other parts of the world like in Europe. Don’t be afraid of the weather in low season. In July, you can wear polo shirts and shorts every day. The temperature doesn’t drop below 28°C. 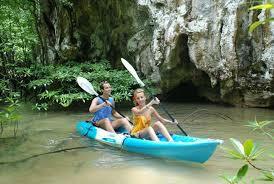 There are a lot of reasons why people choose to take a vacation in Phuket. Mostly people come to Phuket for the sea and the beaches, but there are so many more reasons, such as scuba diving, culture, great and cheap food or for the nightlife. During the high season can be when you get the best weather, this is approximately between November and May. 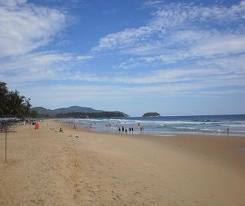 It is also the time when the west facing beaches in Phuket are sheltered and calm. That’s why this is the period when most of tourists come. Low season is the period from June to October. Actually, it is in July we entered in the South West Monsoon season. 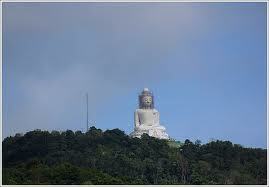 But low season is a great time to visit Phuket. You will get sun most of the time, so many days are hot and if it does start to rain you just have to go as shelter for as long as the rain lasts. The rain that does fall mostly comes at night and often passes quickly. Monsoon, makes people forget about beachfront vacations. But, In June,July and August for example there are not so many days of rain. During the monsoon season Phuket turns lush and green; it can be the coolest period in the year, quieter and most relaxing of all as there are few tourist in the resorts and service is at a high standard. You can do anything in low season that you can in high season, but there are advantages to this time of year. Hotel rates are slashed and you can generally get lower prices from tour operators, vehicle rentals, boat trips …. The months June, July and August are still a popular time to visit as people take advantage of the low season prices. Big resorts drop prices dramatically, and you can found cheap guesthouse rooms with all necessary comfort for a handful of bhat. Furthermore, this period is called the “green season” because with the rain there are so many tropical plants that cover Phuket. And with the fewer tourists in this season you have more space to move and to enjoy beaches and islands. Indeed, you will find more room next to the sea, less divers in the water and more space in the shops and restaurants. Don’t hesitate to come in low season, you will find the same charm and the same beauty that Phuket and surrounding area has, but for a lower price and few people. During the Green season we are still offering a full range of daytrips on board MV Scuba Fun, and also offer overnight trips to Phi Phi on our liveaboard MV Scuba Adventure. It is still possible to learn to dive or take continuing education programs with us throughout the year. This entry was posted on Friday, August 2nd, 2013 at 11:05 am	and is filed under Summer Season. You can follow any responses to this entry through the RSS 2.0 feed. Both comments and pings are currently closed.